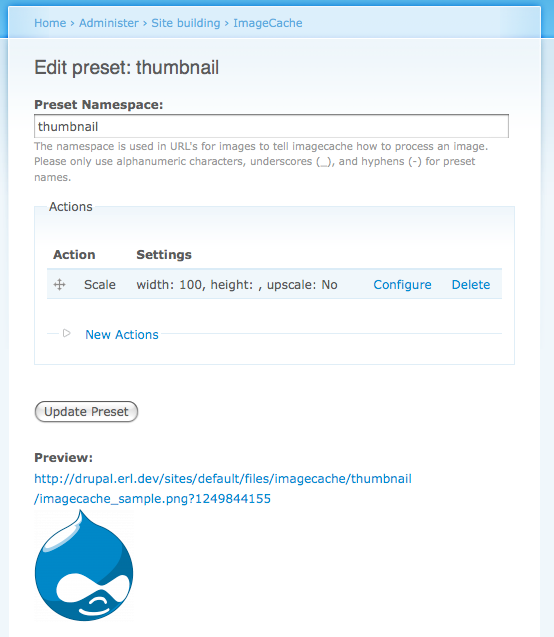 NOTE: The next few steps assume you have not already setup a content type and ImageCache preset. You can ignore them if you already have. Once you installed the above modules and set permission accordingly, you’ll need to define an ImageCache preset (/admin/build/imagecache/add). I called mine “thumbnail” for this example. I added a “Add Scale” action to set the width to 100 (pixels). This will ensure when you create an image, a thumbnail will be created automatically. 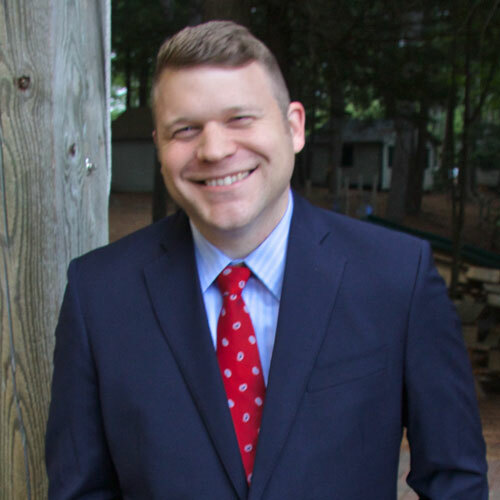 Create a new content type (/admin/content/types/add). I called mine “Carousel” for this example. 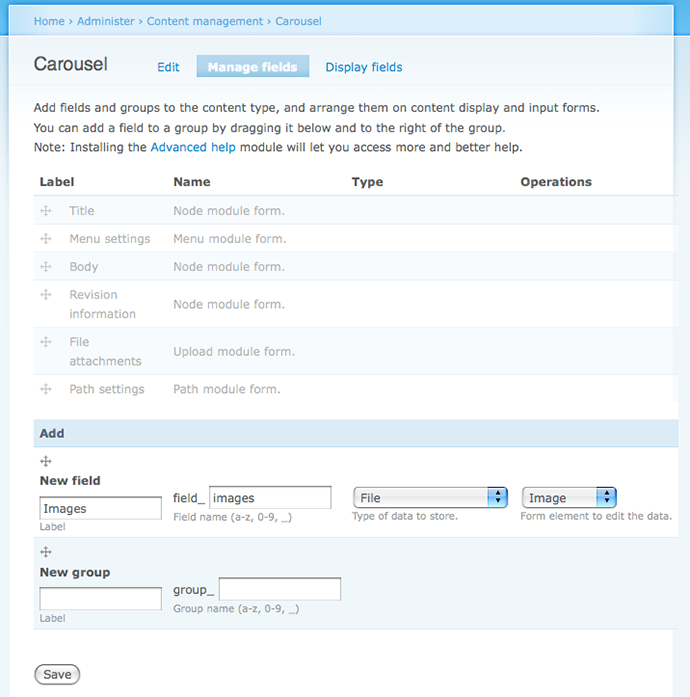 I then clicked on “Manage Fields” (/admin/content/node-type/carousel/fields) to setup a new Image field. I called my new field “field_images”, selected “File” for field type, and selected “Image” for the form element. On the next screen, scroll down to the Global fieldset region and enable the “Required” checkbox, and set the “Number of Values” to “Unlimited”. This will allow the user to upload numerous image files to the same CCK field. 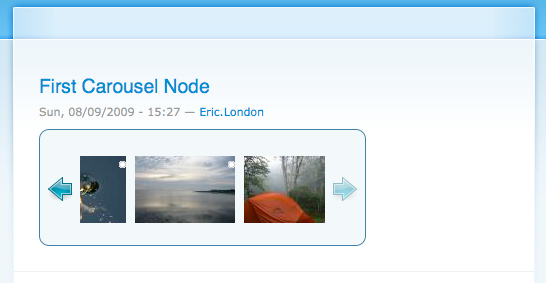 Next you’ll want to set which image preset it shown when viewing the node, by clicking on “Display fields” (/admin/content/node-type/carousel/display). I chose the “thumbnail image” preset for both the teaser and full node displays. 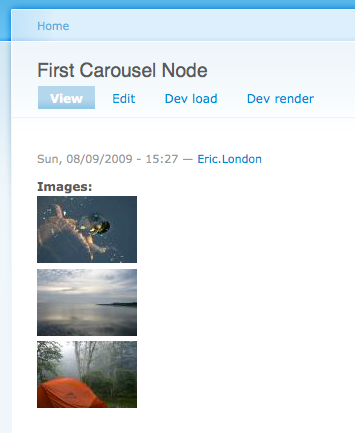 I then created a new carousel node (/node/add/carousel). I used the “Add another item” button to upload three images to this node. If you view the node, the images will be stacked vertically. This is where the fun starts. 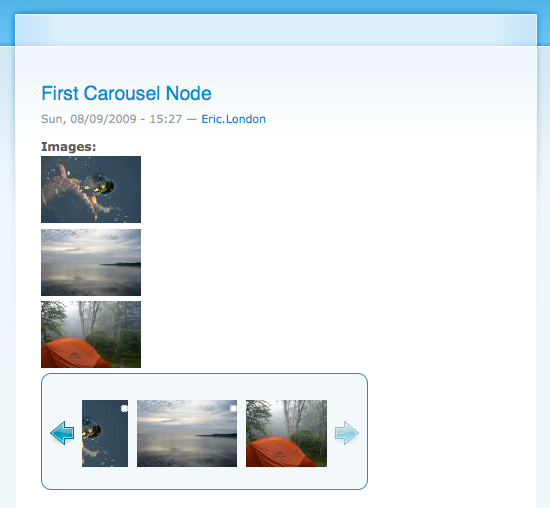 You’ll need to download the jQuery Carousel library (http://sorgalla.com/projects/jcarousel/). I downloaded the jcarousel.zip file and unpacked it. 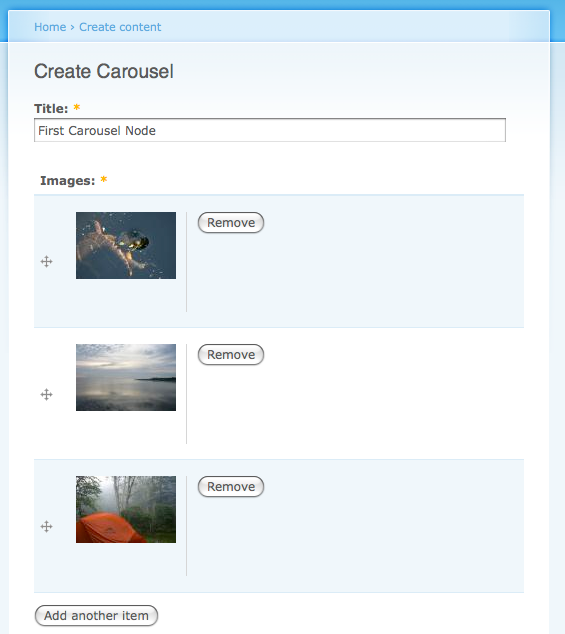 Copy the entire unpacked jcarousel folder into your theme directory. If you’d like you can hide the old image html by adding a single line of CSS (or by adding more elaborate code in your template preprocess function).